Written by two longtime Elvis fans, Ricky Cross and Charles Wittkopp. The book was printed by famed Tidewater printer Donning Publishers in 1982, and available mainly in the Southeastern Virginia area. 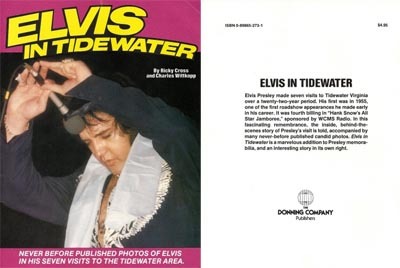 "Elvis in Tidewater" has been out of print for three decades. Click on the cover below to download a PDF of this 32-page book. This file has been tested on various PDF readers; Foxit and PDF-Exchange work great!